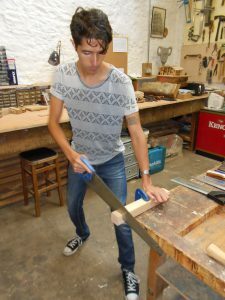 I have over twenty two years of carving experience and have been teaching woodworking classes to people of all ages for over ten of them. It feels great to share my passion for and knowledge of the subject with others. 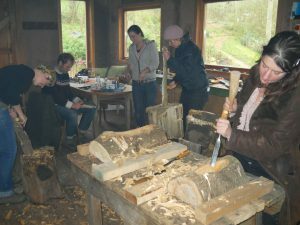 I have experience in teaching not only woodcarving, but also the specialist skills needed to work with unseasoned ‘green’ wood as well as more general carpentry and joinery techniques. 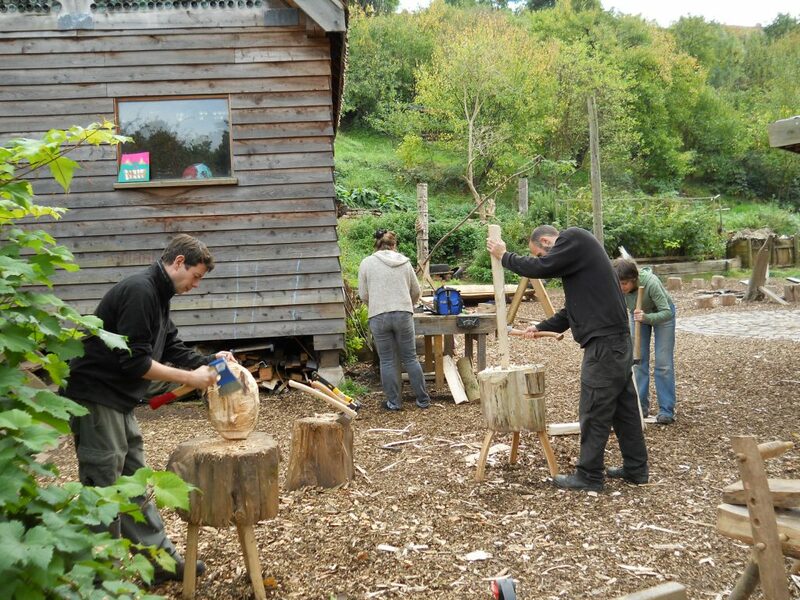 The picture above shows one of several green woodworking courses that I ran at Boiling Wells in Bristol, in partnership with St Werburghs City farm and with funding from the Radcliffe Trust. Nowadys, I often teach one-off days rather than courses, for groups of six to eight people at a time. Learners will be taught so much in the day that it is frequently enough! Unlike some other tutors, I don’t just teach what is needed to make a particular object. Instead, lessons focus on what tools to buy, where to get them, how to use them safely and efficiently and how to keep them sharp, if necessary. That way, if a student wants to continue after the session, they have all the knowledge and skills to do so in whichever direction they choose. Get in touch if you’d like more information.